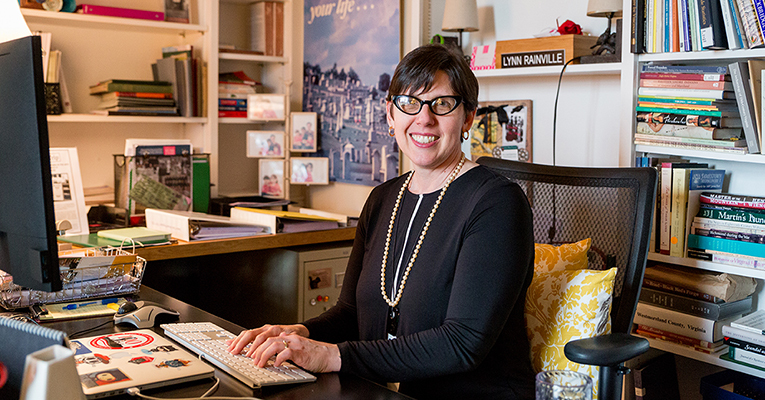 Outside of her role as dean of the College at Sweet Briar, Lynn Rainville studies the everyday lives of ordinary people. She’s a well-known expert in historic Virginian communities and she uses archaeological, ethnographic and historical sources to uncover lost sites and the stories of forgotten Virginians. For the past decade, this work has been part of her public outreach as director of the Tusculum Institute at Sweet Briar. She began her current research — into World War I memorials in Virginia — back in 2015 after a trip to France, where World War I memorials are plentiful. When she returned from that trip, she wondered how Virginians had memorialized the Great War. 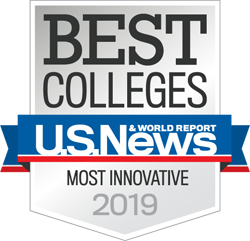 Working with colleagues at colleges like the University of Richmond and Old Dominion University, she found more than 250 memorials including bridges, plaques, statues and more. 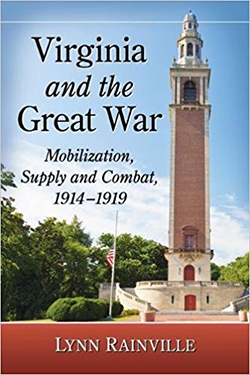 Her most recent book, “Virginia and the Great War: Mobilization, Supply and Combat, 1914-1919,” was published in February 2018. The book reveals the crucial role Virginians played in the Great War, including Staunton native President Woodrow Wilson. These Virginia patriots also included drafted soldiers, African-American doctors, domestic gardeners, National Guard troops and army chaplains. Of the more than 100,000 drafted troops, more than 3,600 Virginians lost their lives as a direct result of the war, impacting families throughout the state. In 2017, Rainville began a series of public lectures about Virginia’s role in the war. She was a keynote speaker at an April 2017 ceremony that recognized the United States’ entry into the war. Other featured speakers at that event included Virginia Governor Terry McAuliffe and the adjutant general, Maj. Gen. Timothy P. Williams of the Virginia National Guard. As we honor not only Veteran’s Day on Nov. 11, but also the centennial of the end of the war, Rainville is completing her series of more than three dozen public lectures across the Commonwealth. She’ll be the keynote speaker at a regional teacher’s symposium on Nov. 8 in Charlottesville and speaking at the Mathews County Library on Nov. 9. Rainville also will participate in the Armistice Day commemorative event at the official Virginia WWI memorial at Byrd Park in Richmond on Nov. 11. On Nov. 19, she’ll give a lecture at the Salem Historical Society. If you can’t make it to Virginia but would like to hear her speak about the role of Virginians in World War I, you can see a video of one of her lectures here.